Former President George H.W. 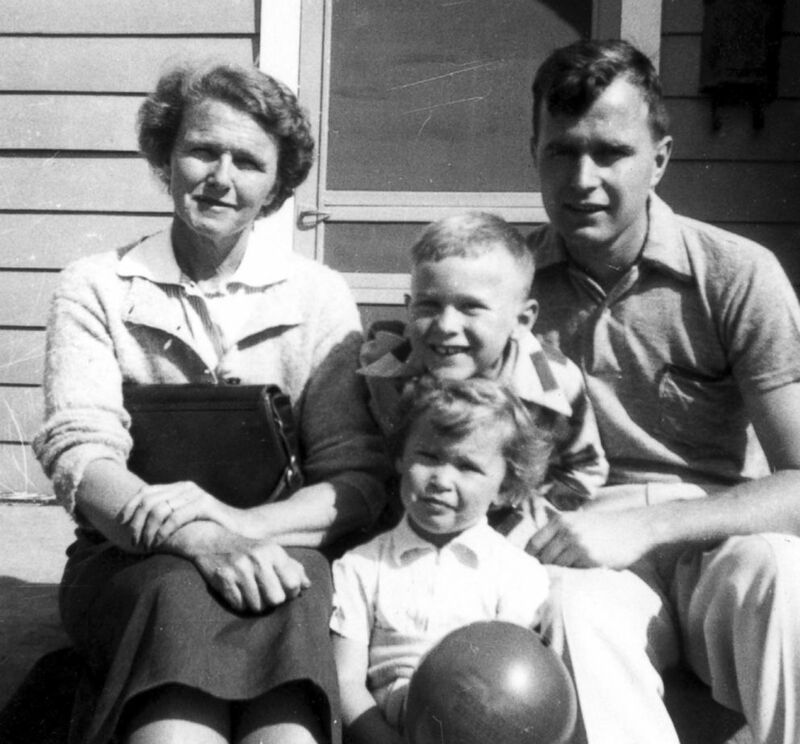 Bush was known for speaking and writing emotionally about his beloved family, including one family who died 65 years ago. His eldest daughter Pauline Robinson "Robin" Bush was born five days before Christmas in 1949 and died before her fourth birthday after battling leukemia. Both George and Barbara Bush spoke about their love for their darling daughter, with him once referring to her as a "Christmas angel" in a letter. In 2012, Barbara Bush told her granddaughter Jenna Bush Hager on the "Today Show" that when the former president dies, Robin "is who he'll see first." George H.W. Bush's extensive history of letter writing provides a window into his personal life, including his despair after Robin's death. Dorothy Walker Bush with her son, George H. W. Bush, and grandchildren, George W. and Robin Bush. In one letter that he wrote to his mother circa 1958, five years after Robin's death, he talks about how their family was feeling the loss of her presence. "We need some starched crisp frocks to go with all our torn-kneed blue jeans and helmets. We need some soft blond hair to offset those crew cuts. We need a doll house to stand firm against our forts and rackets and thousand baseball cards... We need a little one who can kiss without leaving egg or jam or gum. We need a girl," he wrote. "We had one once. She'd fight and cry and play and make her way just like the rest but there was about her a certain softness. She was patient. Her hugs were just a little less wiggly," he wrote. 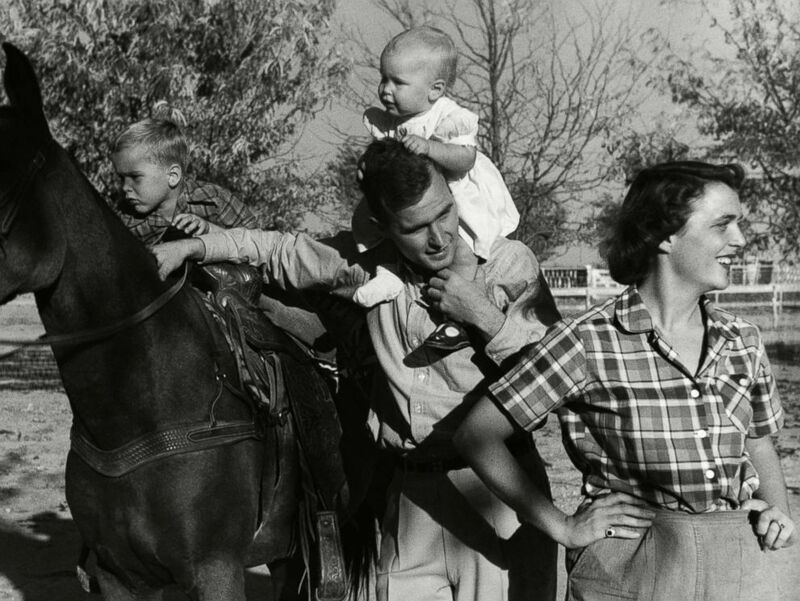 George H. W. Bush with his wife, Barbara, with their children Pauline (Robin) and George W. on a horse in the yard of their Midlands, Texas ranch, Dec. 11, 1950. "But she is still with us. We need her and yet we have her. We can't touch her and yet we can feel her. We hope she'll stay in our house for a long, long time," he concluded. Barbara Bush talked about Robin's struggle with leukemia in 2012. "Poor Gampy," Barbara said, using the nickname the family used for her husband, "every time she got a blood transfusion, he'd have to leave the room." Though she has a grave in Texas in the same lot where her father will be buried later this week, the couple donated Robin's body to science. "I think it made Gampy and me feel that something good is coming out of this precious little life," Barbara Bush said in the 2012 interview. "Robin to me is a joy. She's like an angel to me and she's not a sadness or a sorrow, those little fat arms around my neck," Barbara Bush said.